Not that it matters in the grand scheme of things, but a very busy week is drawing to a close (and just in time for another to begin next week, but more on that later). 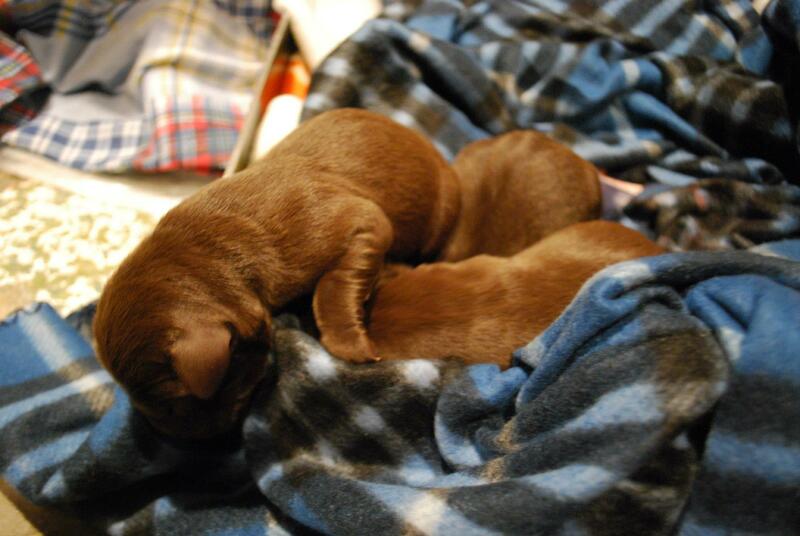 We’re sending all of our puppies home to their new owners tomorrow. So the last few nights have been characterized by late night certificate compiling, cleaning, and general dog-owners-sending-puppies-home kind of things. 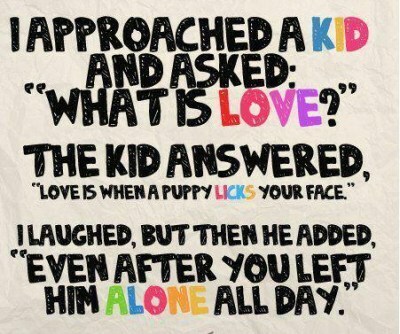 Here’s one last post, from my wife, on the puppy blog. Because I spent a lot of time editing the pictures, I wanted to share this post from our dogblog. 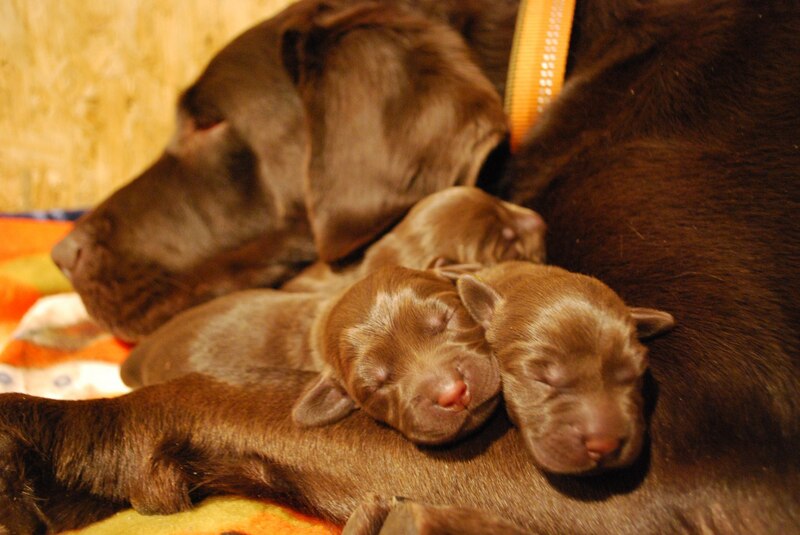 Our chocolate lab had puppies a month ago, and in the process of selling them, we’ve set up a website for people to watch the pups as they grow. I try to post pictures and videos often, so if someone has their eye on a dog, or has already paid a deposit, they can follow along. Anyway, we had the dogs outside for the first time today. They LOVED it. I don’t care if you’re a dog person or not, you’ll think these are cute. No post yesterday because by 8pm, I couldn’t keep my eyes open. 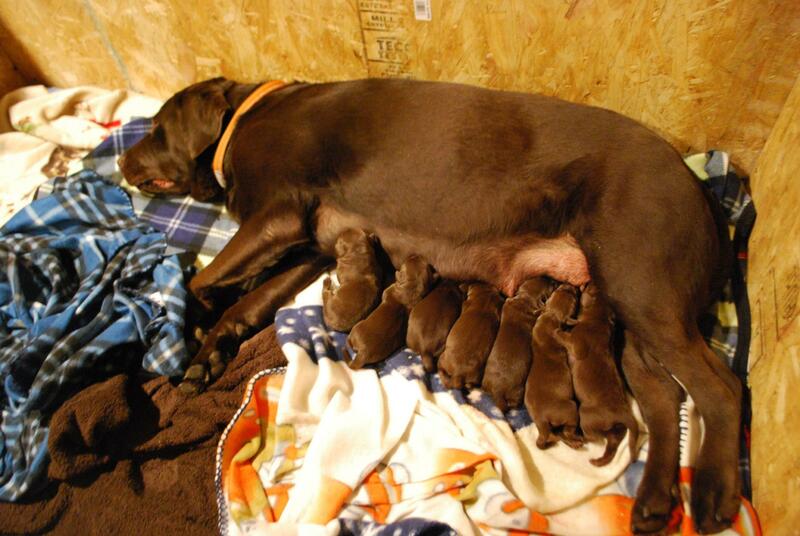 My wife and I got about an hour of sleep the night before, as my chocolate lab went into pre-labor around 10pm and delivered her puppies beginning at 2:30am, finishing up around 10:30 in the morning. Seven of the 8 survived – unfortunately, one placenta ruptured and we lost him – so now the girls have their hands full with squealing delights. It’s cute now, but will rapidly become chaotic. Looking forward to trying to rear some good puppies for some lucky families. Just like any proud “grandpa”, I have to post a picture or two. Go ahead, try to resist smiling when you see these little guys!